Hello! 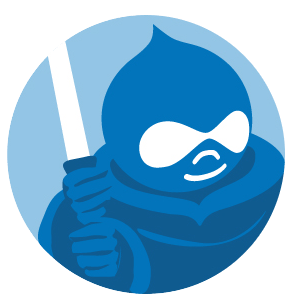 We are Drupal Jedi team and we specialize in large complex projects with subsequent full-time support. We are in the heart of Siberia and we also love Drupal. Exploring new things is our lifestyle! We improve our Drupal skills every day and constantly integrate the most successful innovations into development process. as quickly as possible without loss of quality. Write to us and we contact with you right now! The Drupal Association's mission is to foster and support the Drupal community by maintaining Drupal.org software and infrastructure, providing DrupalCon scholarships and Community Cultivation Grants, hosting DrupalCons and many other community initiatives. We are active member of non-profit organisation DrupalSib which promote Drupal in Siberia. Drupal Cafes, regular meetings of Drupal professional and fans. 14 Drupal Code sprints. We support and contribute to >60 modules. Also We have organized 5 Drupal schools in Novosibirsk, Russia, for students with different knowledge level. My name is Alexander and I am a CEO at Drupal Jedi. I want to present you our team and competences, and describe where and how we could be valuable and useful for your business. We are working with Drupal for more than 6 years. Our experience is 400 thousands of human-hours and more than 100 projects. The most extensive reach up to 20 000 human-hours! We have the largest Drupal team in Russia, which is ready to develope web project of any complexity: from the landing to the highly loaded platform visited by millions of users every day. Philosophy of the company is based on lean production. We also apply the Agile methodology and XP and Scrum practices. We don’t just code, we are looking for the best solutions for you and your business! For 3,5 years, we have been the general contractor of Axel Springer Russia Publishing House. We have been working at the Internet versions of Forbes, Newsweek, and Geo. During this period, we have redesigned Forbes several times and accomplished two feats! First, the client requested to develop and launch the Internet project Newsweek just in a month and a half. At that moment it seemed impossible - to develop a huge project in such a short time! But we engaged a lot of developers and made a perfect project plan to optimize the workflow. As a result, we have developed from scratch and launched a huge internet project Newsweek in just six weeks! Regina Fon-Fleming herself, CEO of Axel Springer Russia We have received a letter of thanks from . And what is the most important, we've got an amazing experience and perfected the development process. So, when later the same situation happened with online magazine Geo, we managed it excellent! Drupal is a powerful platform which let’s implement high-performance systems. Do you have doubts that Drupal can stand 5 000 000 nodes and 1 000 000 unique visitors per day? Be sure, Drupal bears even more. Complete mobile backend for Drupal - is not a problem as well. It handles more than 100 requests per second. Drupal and Microservices architecture seems to be incompatible. But we have implemented a module that allows to combine it. Build a powerful, high-load, extensible platform easy integratable with other applications. We have developed a platform for online games websites creation. Basic requirements for the system were: flexibility, personalization of a content, mobile devices friendly interface. We used the mechanism of functions separation between a browser and a server. The whole page structure is tuned and assembled on the server side based on Drupal. Rendering of the user interface on the basis of Angular.js framework takes place on the side of the browser. We also implemented tracking of user actions to provide personalized offers and promotions. Terem is a powerful online store, where data about thousands of goods is updated every day. I’m an expert in search technologies for Drupal and my main goal is to make fast and comfortable search of goods in a catalog. This is the most important thing for the online store! Why? If you want to earn money, let the user find goods easily. On the project Terem I made a flexible system of catalog filters. A filter will be created automatically for each new attribute. Just import list of goods from a warehouse to your site and everything is ready! To control sales administrator can change a structure of a catalog for each kind of goods in a few clicks. It’s really powerful and effective tool for sales! I am a team-lead of platform development for the Government of Novosibirsk region. There are more than 70 websites have already been deployed! Creating a new website for department or government program takes just few minutes. Authorization of employees occurs through LDAP. Citizens authentication goes through the Unified Federal System of identification and authorization. The web-site supports special devices for cecutient people. Government purposes require great precision in cartography, so integration with professional map services ArcGIS has been implemented. We can find an approach to such specific customers, as the government and non-profit international organizations. For example, we are working with the World Bank. To fully dive into the project, we have interviewed the heads of departments, pr-specialists, representatives of the target audience and relevant experts. Product Requirements Document (PRD) becomes a result of a detailed investigation of the project. It is a basis for the further work on the project and allows us to accurately estimate labor costs, to minimize duplication and mismatches, and the most important - to make a technical specification for the development. Software audit is a tool to evaluate the code quality, web-site security, performance and compliance with coding standards. We have audited dozens of projects, helping customers to reduce product maintenance and development costs in the future. I'm a Team Lead on Drupal projects. Our team implemented a lot of platform solutions where clients can manage hundreds and thousands own websites for different products, brands, countries and languages. For example, more than 100 websites were developed for big international company in 40 countries and several languages. Logistical information for the millions of customers comes from the ERP system via SOAP protocol. Employees just login their gmail accounts and automatically login to these websites. System for content migration from one site to others was implemented to help content managers. We also implemented chat on NodeJS to allow employees communicate in real time. I’ve developed a platform for international TV channel where you can watch and buy performances of famous artists in HD quality. CDN Limelight integration was implemented for a quick load of video anywhere in the world. Also we have developed video access control system, auto payment in iTunes and integration with the service asus@vibe. We have achieved a quick response from the site with help of caching and code optimization. We have developed an e-commerce platform for big company that sells passes and tickets. The platform let clients easily create a new online-shop in common style with different configuration, content, special offers and prices for affiliate sales program. We also have implemented the next useful instruments for these purpose: unloading of various reports, user-friendly Dashboards and possibility to check who, when and how have made a purchase on the website. In order to provide multilingual platform we used Motion Point services for professional automatic content translations. I participated in development of Intranet portals for the largest international companies. 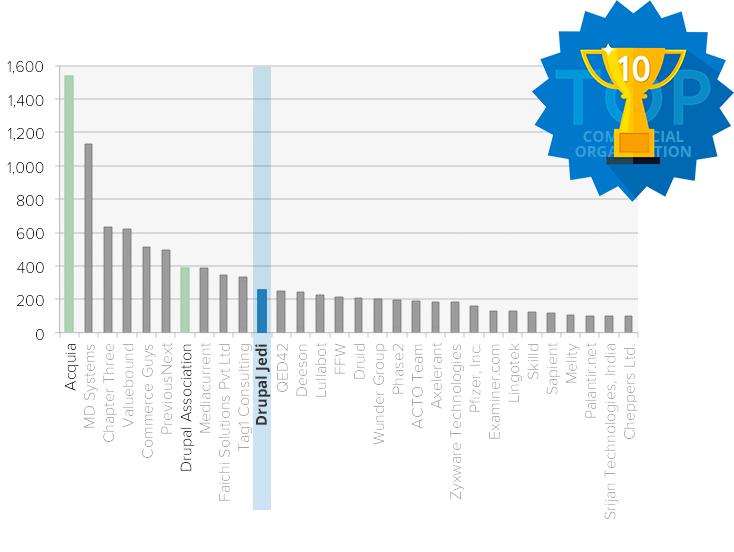 Most of them are based on Drupal Commons. In addition to simple features, such as joining users in groups, polls and questionnaires, I have implemented authentication through LDAP, a complex system of access control to content and multiple stage content moderation. I have been a team-leader of website development for the largest construction company. The site has a powerful search engine with an ability to compare real estate proposals in results. We used the module apache solr with different facet filters and even have developed our own Drupal module “Ajax facets” to meet high demands of the project. The site also is integrated with OpenX service to manage advertising. The main content on the site is being created from ERP system through a Webservice. Hundreds of new real estate proposals are being updated every day. We have developed a project for a major international food producer. We had to bring the project to the next level, so we started with refactoring to improve code quality, simplify product support and reduce possible regressions in the future. This is a very high load project - from 50 to 80 requests per second. We implemented Redis Cluster and optimized Ajax requests to reduce a server load by 3 times. We also have implemented an API to communicate with partner websites and games and quizzes kit with statistics gathering. I worked on website for the Tourism Development Agency. Website was designed for sales of printed stuff and event tickets. Payment through Pay Pal and System Pay, specific discounts rules and faceted search have been implemented. An important part of the project - realization of the content and users import from the old website, as well as data export into CRM system. Beautiful Google map with custom styles and labels has been implemented according with design requirements of the website. Nginx is an HTTP and reverse proxy server originally written by Igor Sysoev. An open-source HTTP server for modern operating system. Alternatively, you can use the mobile version of the site. Contacts have been received. Write we will to you.